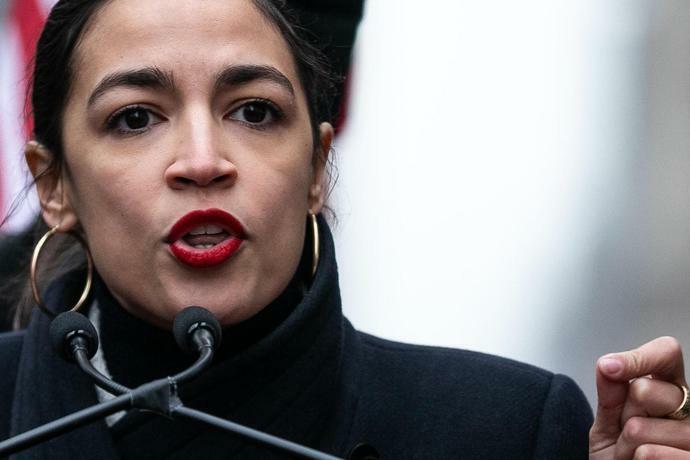 (Bloomberg) -- Representative Alexandria Ocasio-Cortez criticized Alphabet Inc.'s Google, Facebook Inc. and Microsoft Corp. for sponsoring a conference in Washington that included a session denying the science behind climate change. The New York Democrat and self-described Democratic socialist wrote to the chief executive officers of the companies Friday and said she was "deeply disappointed" in their sponsorship of LibertyCon conference. "The example you have set promoting sustainability and evidence-based science is compromised by your implicit support of the session organized at LibertyCon," she said in the letter, which was joined by Democratic Representative Chellie Pingree of Maine. Microsoft said in a statement that its presence at LibertyCon was a reception for student leaders to discuss topics such as rural broadband access and privacy, and noted that it has reduced emissions, invested in renewable energy and supported policies that address climate change. "Climate change is one of the most important issues of our time, and our commitment to addressing it is unequivocal," the software maker said. Google said it had long been a leader in sustainability, and said it reached 100 percent renewable energy for its operations in 2017. "Google's sponsorship or collaboration with a third party organization doesn't mean that we endorse the organization's entire agenda or agree with other speakers or sponsors," the company said in a statement. The letter isn't the first time Ocasio-Cortez has targeted technology giants. On Twitter in response to layoffs at BuzzFeed and other news organizations, she singled out Facebook and said the biggest threats to journalism are "tech monopolies & concentration of ownership." In their letter to the tech companies, Ocasio-Cortez and Pingree compared denial of climate change to the way tobacco companies once sought to deny that cigarettes cause cancer. They said it is "imperative to ensure" that the views expressed at the conference don't reflect the values of the companies. The session that raised their ire was titled "Let's Talk About Not Talking: Should there be 'No Debate' that Industrial Carbon Dioxide is Causing Climate Catastrophe?" The speaker was Caleb Rossiter, a member of a nonprofit called the CO2 Coalition, another sponsor of the conference that says its goal is to explain how Earth will be "improved" by additional carbon dioxide. While the group says it supports control of hazardous pollutants, "more CO2 will benefit life on Earth. We invite you to look at the evidence and see for yourself." The Heartland Institute was another sponsor of the conference, which took place earlier this month, according to the event's website. The conservative organization rejects the science behind climate change. LibertyCon is an annual conference organized by Students For Liberty, a global libertarian student network that was founded in 2008, according to its Facebook page. Students for Liberty said in a statement that climate change denial is not a policy position of the group. Other sponsors included organizations that urge against increased C02 emissions, it said. Google, Facebook and Microsoft sponsored LibertyCon to participate in technology policy sessions, the group said. 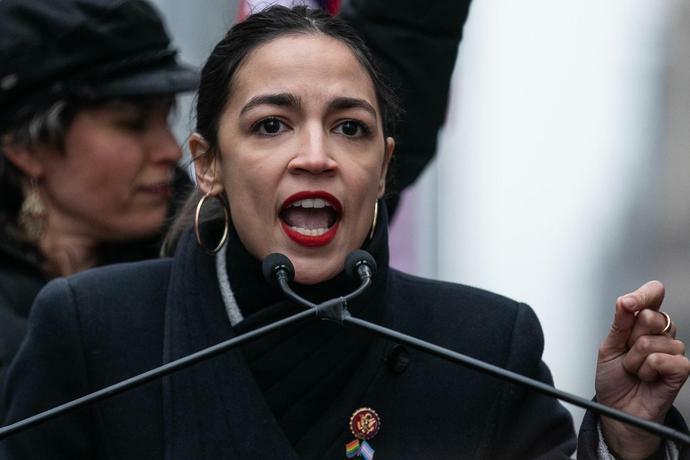 Ocasio-Cortez is a vocal supporter of the Green New Deal, which envisions a transition by the U.S. to 100 percent renewable energy. She was named to the highly visible Committee on Oversight and Reform, which has an environmental subcommittee. Whether she will have a seat on the subcommittee is likely to be decided by Tuesday, when the full Oversight committee organizes and holds it first public hearing in the new Congress controlled by Democrats. --With assistance from Mark Bergen, Dina Bass and Naomi Nix. LONDON (AP) - Police say they have arrested more than 200 people after climate change protesters blocked major bridges and intersections in central London, bringing traffic to a standstill.